Saint Xavier’s online graduate degree programs help you gain the knowledge and skills necessary to excel in both your career and in life. We combine a passion for scholarship and career-focused learning within the Catholic liberal arts tradition. Saint Xavier University offers professional preparation grounded in the tradition of liberal arts. The university’s graduate and post-graduate nursing programs are recognized and respected by employers and delivered by professional faculty who are experts in their fields. The online MSN prepares you to take on advanced practice roles in today’s challenging and rapidly changing health care environment. This CCNE-accredited program is designed for busy working nurses and will help you take charge of integrating the latest knowledge in health care delivery and technology into patient care, whether at the bedside or in the executive office. Executive Leadership: Gain the strategic perspective and administration skills to manage a nursing department or unit effectively and safely. Clinical Leadership: Learn to coordinate and integrate information from other health care professionals, physical exams, patient histories and test results into a comprehensive patient care plan. The Clinical Leadership Post-masters Certificate Program is designed for registered nurses who already hold a masters degree in another nursing specialization and want to become eligible to take the Clinical Nurse Leader (CNL) certification exam. The Nurse Educator Certificate program offers a guided practicum and real-world-oriented coursework to develop your knowledge and skills as a nurse educator. Study teaching concepts and techniques specific to health care and learn how to adapt them to different settings and student groups. Why is SXU right for you? 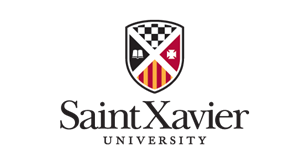 National and Regional Accreditation: Saint Xavier University and the School of Nursing hold prestigious accreditations. I consent to receiving SMS/MMS messages generated by an autodialer from Saint Xavier University or its representatives at the mobile number I provided. Consent is not required to receive information. Message & data rates may apply. Send STOP to 35254 to unsubscribe. Send HELP to 35254 for help. ©@@CurrentYear Saint Xavier University. All rights reserved.